If you have been looking into marketing your wines online then chances are that you are already using Facebook as a promotion channel. With more than 2bn daily active users and 200m people showing interest for wines, using this social media platform for wine-related advertising is a sensible decision. Given Facebook’s versatile segmentation options on their promotion platform, targeting your wine enthusiast audience via Facebook has clear benefits. Yet, there are also risks involved that few experts talk about. It is easy to get excited when conversions of direct-to-consumer wine marketing on Facebook start delivering excellent results. The natural reaction to this type of success is to increase your spending on advertisements and optimise your campaigns. That is exactly what every reasonable marketer would do. So, where is the catch? Do you still remember when the whole internet talked about SEO (search engine optimisation) as your key to online (sales) success and that Google ranking was your way to boost your revenues? Do you recall the trend that every online marketer should write a blog, no matter whether you are a talented author or completely unskilled at writing? How about the movement that putting up your social media page and getting as many likes as possible is the single proof of competence, reliability and relevance of your wine business in the marketplace? What is common to all these trends? They all ended up as the “silver bullet” for many marketers, i.e., techniques that everybody frantically tried to reproduce. What happened to all these then? Their significance dropped over time and so did the associated enthusiasm of marketers for them. When something unique gets reproduced by millions, it is not so unique, anymore. This is catch number one. We do not claim that SEO, content marketing or social media advertising are outdated or not relevant. It is actually quite the contrary. What we suggest is that you think of your online wine marketing as an ideal mix of multiple different promotion techniques and channels. 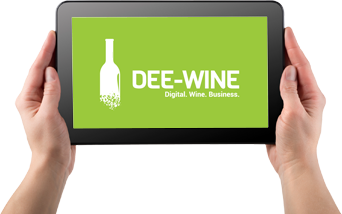 If you are in the direct-to-consumer wine sales business then you may be using different IT solutions offered as a service. We term these as SaaS (software-as-a-service). Whether it is your online wine shop (Shopify, Magento), your CRM (Salesforce, Zoho), your e-mail system (Office 365) or your wine marketing automation solution (CampaignMonitor, MailChimp), chances are that you are using a SaaS solution to realize the desired function. The benefits these solutions offer are paramount. For a low monthly service fee, you can get going and your wine business will pay more as you grow. The SaaS model allowed SMBs to get to the desired market much faster and it also made that appearance affordable. The same applies to the wine industry: these solutions can help your wine business get in front of millions of wine consumers at the fraction of the cost it would have had to pay 10 years ago. There is, however, another important aspect of these solutions. It is coded in their definition: software as a “service”. For your monthly payment, you get not only the right to use the solution but also the entitlement for support. Of course, the level of this support may vary from a simple, searchable knowledge base all the way up to a support with personalised, 24×7 availability with a 1-hour response time. You get, what you pay for. On Facebook, you get your wine business page up and running for free. You can start your wine marketing by sharing relevant content, collecting followers and engage with your audience. Nothing restricts you from doing this, as long as you follow the rules of Facebook. And here’s the second catch: your compliance may be questioned at any time. We know that Facebook frequently changes its rules, incl. their algorithms that define what content gets in front of what audience and with what frequency. That is, however, only one part of the story. If someone with malicious intent reports your page to Facebook for non-compliance, you have a potential problem. If someone leaves an illegitimate 1-star review on your page, you have an uncomfortable problem. If your advertising account gets compromised, you have a major problem. What is common to all these issues is that they would need an active interaction with the support team of Facebook. Problem is, you cannot get to them. To date, there is no way you can reach out to a Facebook support line, submit a ticket and wait for it to be processed (with the speed and attention level your monthly support fee entitles you to have). You can report the problem and you can hope for the best. Or, alas, the worst. Suppose you build your wine marketing exclusively on Facebook. You build a nice follower-base, you use paid Facebook advertising that converts well into your wine online shop. You spend all your advertising money on this channel. You skip search engine marketing and search engine optimisation. Then, on one day, someone reports your Facebook page. It could be someone working for the competition or an unsatisfied customer. Or you run a sweepstake that offences Facebook’s rules. Or you use an image that you think your colleague purchased from Shutterstock. Too bad that he downloaded it from the internet without ever paying for it to anyone. Your Facebook business page may then simply get shut down. Bing. Overnight. What do you do then? Submit a correction request and wait. That’s about everything you can do when it happens to you. There is no service level on Facebook. It is a free, do-not-expect-anything service. Facebook claims themselves: “we reserve the right to reject or remove Pages for any reason”. At that point, when your thousands of fans are not more reachable and your source of wine shop traffic is gone, it will be too late to recognise that Facebook cannot be your only marketing channel. It is a fact that fan pages do get shut down for breaking Facebook’s Terms of Service. It has happened to large corporations and small businesses all over the world, so don’t fool yourself that that makes a difference either. It may happen, with or without sound reason, to your wine business, too. It is exactly for this reason that your wine business should aim to own the customer relationship. When you build a follower group on Facebook, you do not own personal data of these followers. Facebook owns these. When your wine tasting videos are followed by YouTube fans, Google owns their personal data, not you. Throughout the interaction with individuals who express their interest in your wines or perhaps even purchase them, your wine business should aim to collect contact data. Contact data that you can later use to reach out to these people directly. This comes along with responsibility. You cannot exploit customer data for purposes that they were not shared with you for. You should only use this data in compliance with the provisions of the Generic Data Protection Regulation (GDPR). Once contact names and e-mail addresses are in the legitimate possession of your wine business, your exposure to quickly changing rules of advertising channels & social media platforms is lower. If your business gets banned, you still have access to your most important assets, your customers. So, use Facebook as your communication channel towards leads and customers. But use it in a way that you never lose sight of your ultimate goal: personal engagement with the people who buy your wines. Once you have that, you can reach out to them, no matter what happens with one of your communication channels. How to do this in practice, we will discuss in our next blog post.